Wright, Khaliela S. "Fire, Fire Everywhere: Deep with in a Blazing, Sunless Summer." 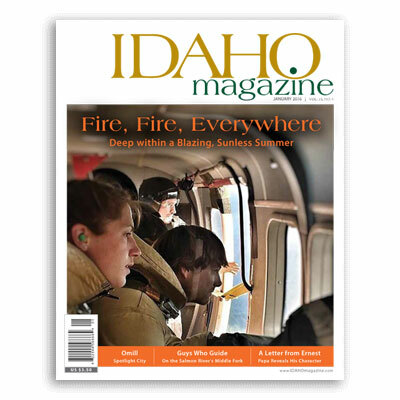 IDAHO Magazine. January 2016. McCluskey, J.J., R.C. Mittelhammer, A.B. Marin, and K.S. Wright, 2007. “Effect of Eating-Quality Characteristics on Consumers’ Willingness to Pay for Gala Apples,” Canadian Journal of Agricultural Economics 55(2):217-231. Wright, Khaliela, James R. Nelson, and Orestes Vasquez. 2003. “Protecting Farmland From Development – How To Determine Which Lands Are Under The Most Pressure.” Southwestern Journal of Economics Vol. V, No.2: 86-98. Vasquez, Orestes, Khaliela S. Wright, James R. Nelson, and Joel R. Hamilton. 2002. “Determining the Effects of Land Characteristics on Farmland Values in South-central Idaho.” Western Agricultural Economics Association. Wright, Khaliela. 2002 “An Economic Analysis of U.S. Tariffs on Canadian Lumber Imports.” Dept. of Agricultural Economics and Rural Sociology, College of Agricultural and Life Sciences, University of Idaho. Working Paper Series.